I would like to thank my family, staff and patients, who have allowed me to practice the highest level of optometry. I have dedicated my life to a profession that helps patients see the beauty that life has to offer. From preventing, diagnosing and treating eye conditions that could take away one’s vision from their everyday lives, to making one’s vision better with eye glasses, contact lenses and vision therapy; I come to work energize and passionate to help patients. I have an integrated medical approach to my eye care. I use the latest medical technologies to help assess the condition of the eye in combination with my knowledge and experience to make the best recommendations for the patient. I love to learn and I continually exceed the number of continuing education hours needed for optometrists to maintain the standards of practice. The visual process is very complicated and with each patient I see, I understand more and more the visual system and how it affects our lives. I graduated from the internationally recognized University of Waterloo, School of Optometry. The School of Optometry in Waterloo has given me a strong clinical training in optics and contact lenses. I enjoy using different products from various manufacturers to give the best vision care one can achieve with corrective eye wear. I have trained in a disease based eye clinic in Florida to obtain full therapeutic certification to treat and manage eye diseases in Canada and the United States. From seeing cancer in babies’ eyes to navigating through age-related eye disease treatments of the elderly, I value eye health and strive for optimum health. I have completed hundreds of hours in courses and certification with the Canadian Optometrists in Vision Therapy and Rehabilitation, Optometric Extension Program, College of Optometrists in Vision Development and Neuro-Optometric Rehabilitation Association. I have successfully achieved a fellowship with the College of Optometrists in Vision Development. Vision is pervasive in all our actions in life. This is something we could easily take for granted in our lives. I am blessed to be able to help patients “see” better with their vision to live life to the fullest. Since a young age, I always dreamed of becoming an Optometrist. I love what I do, and am excited to share my passion with others. Having grown up in Oakville, I am thrilled to be providing care to this wonderful community so close to home. 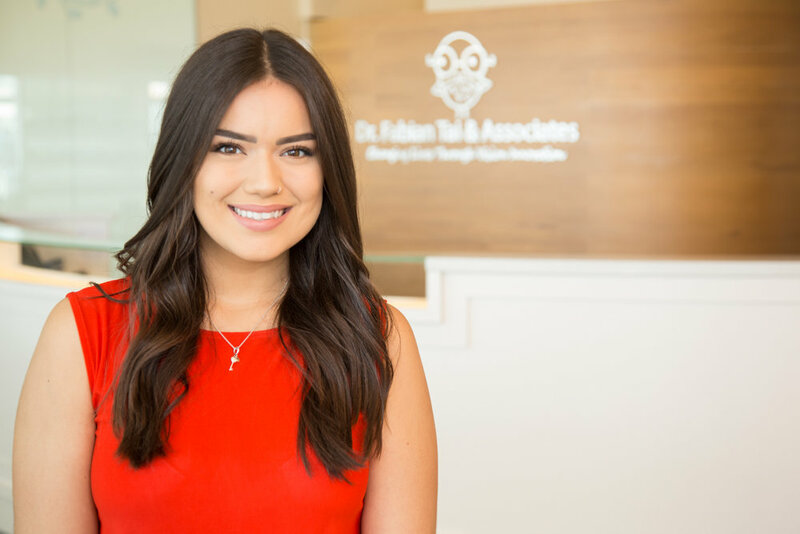 One-on-one care is my top priority; I enjoy getting to know each of my patients so that I can help them see clearly and comfortably in their lives. I treasure moments when a child smiles because their glasses allow them to see clearly for the first time, or when someone regains their independence by giving them the best vision possible. After completing a Bachelor of Health Sciences at McMaster University, I conducted research at McMaster Children’s Hospital aimed at improving parent education on child eye health. 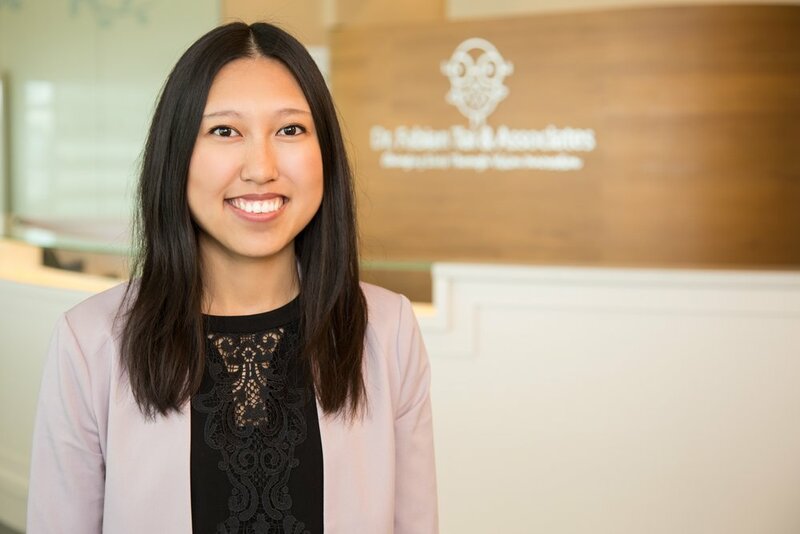 I then studied Optometry at the University of Waterloo, interned throughout the GTA, and graduated at the top of my class for both academic and clinical performance. In Florida, I trained at a disease-based eye clinic that focused on the management of cataracts, glaucoma, macular degeneration, diabetes, and dry eye. I now hold special interests in paediatrics, contact lenses, and ocular disease management. I enjoy attending lectures and workshops to keep up with the latest advancements in modern optometry. This equips me with the knowledge I need to confidently recommend the best treatments, products, and cutting-edge technologies to suit my patients’ needs. In 2016, I also spearheaded a humanitarian trip where we collected donated glasses and provided eye care to locals in Ecuador. In my spare time, I enjoy hiking, experimenting with recipes, learning songs on piano, and spending quality time with loved ones.